Are you running from God? Wilmer McLean was a small farmer in the Shenandoah Valley in 1861. In the spring of that year two powerful armies met on his property: the Union army under General McDowell and the Confederate army under General Beauregard. The bloodiest war in American history began at Bull Run, a creek that ran through McLean’s property. McLean was not at all sure why the armies were fighting, but he was quite sure he did not want them fighting on his property. If he could not change the course of the war, he at least did not have to be part of it. McLean decided to sell out and go where the war would never find him. He chose the most obscure place in the whole country — or so he thought: an old house in the village of Appomattox Court House, Virginia. Four years later General Grant was pursuing General Lee through Virginia. In Appomattox County, Grant sent a message to Lee asking him to meet and sign a truce. The place where they met to sign the peace that ended the Civil War was Wilmer McLean’s living room! Some things you cannot get away from. In more modern times, David Horton discovered this truth – in spades! On May 7, 2003, he decided to attend with his girlfriend a Cincinnati Reds baseball game at Great American Ball Park. If you have ever attended a game there, you know that in between innings, there are various activities happening, each designed to captivate the crowd’s attention. One such activity on that day was the “Kiss Cam”. During that segment that day, Horton and his girlfriend saw themselves featured in the heart-shaped frame on the giant video scoreboard in the park. Horton leaned in for an extended kiss, much to the delight of the 30,000 fans in the park that day. There was just one small problem: Horton had a warrant for his arrest, and his parole officer just happened to be in attendance at the game that day! It seems Horton had served previous prison time for felony assault in 1999. After his release in 2002, he ran afoul of the law just five months later when he was picked up on drug trafficking charges. Having posted bail, he failed to show up for his scheduled court date. After seeing him on the big screen, the parole officer immediately contacted authorities, and by the end of the game, Horton found himself back in jail, and was ultimately sentenced to 4 ½ years in prison. Some things you cannot get away from! Perhaps, a third example … Nita Friedman is not the type of person you would imagine to be involved in a police pursuit. Still, that’s what happened on U.S. highway 95 after Bonners Ferry, Idaho, police chief Mike Hutter tried to stop her for reckless driving. Hutter flipped on his lights and siren, but instead of pulling over, the 66-year-old woman pulled away. Police chased the woman through two counties. The chase did not end until after the State Police put a spike strip in the road in front of Friedman’s car. After driving over it, the woman tried to keep going, but with three flat tires escape became impossible. What astounded law enforcement officers was that throughout the entire 15-mile chase, Friedman never went over the speed limit. Once, she even stopped behind a vehicle that was making a left turn. While running from the law, Nita Friedman was determined not to break the law. Ironically, many people somehow think they can also run away from God, even while living in rebellion to his very nature, his character, and his word. It’s like the pastor who was expelled from her church. Rev. Irene Elizabeth Stroud vowed that she had not violated her denomination’s trust, but acknowledged she lives with her lesbian lover. It’s like the businessman who maintains the highest standards of integrity in his business relationships, yet candidly admits to filing false tax forms to the IRS. It’s like the board member in my church who, as a businessman in the community, told me that what he did in his business was none of my or God’s business, and how he treated his customers (which by reputation, was very poorly) was not a matter of conversation between him and God. It’s very much like when I pray for God’s will to be done and then insist on having things my own way. And yes, it’s like hiding sin in my heart while offering worship. In short, it’s obedience while running away. The Scriptures are clear: “Where can I go from Your Spirit? Or where can I flee from Your presence? If I ascend to heaven, You are there; If I make my bed in Sheol, behold, You are there. If I take the wings of the dawn, If I dwell in the remotest part of the sea, Even there Your hand will lead me, And Your right hand will lay hold of me” (Psalm 139:7-10). In other words, some things – including God – you cannot get away from! Many people run from God, fearing what He might do to them. They tend to think that God is some sort of cosmic “boogey-man” who is out to get them – a sort of “One-wrong-move-and-you’re-toast!” kind of guy! So the ultimate question for each of us is this: Are YOU running from Him? 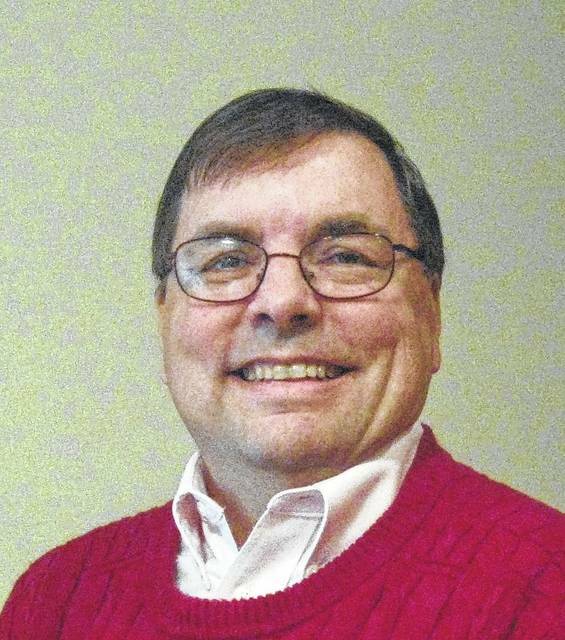 Chuck Tabor is a regular columnist for the News Journal and a former pastor in the area. He may be reached at cdtabor3@gmail.com.